Crazyradio는 2.4 GHz의 USB Dongle입니다. 현재는 Nano Quadcopter와의 통신에 사용되지만 Nordic Semiconductor의 2.4GHz chip에 기반한 응용제품에 적용가능합니다. 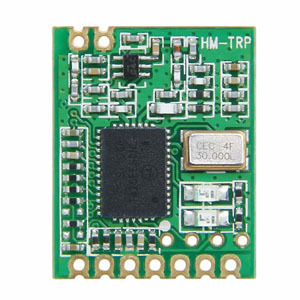 HM-TRP Wireless Transceiver UART Program..
Crazyradio 2.4Ghz nRF24LU1+ USB radio do..
6DOF Digital Combo Board- ADXL345 and IT..
2 Channel RF Wireless Relay with Remote ..
2PCS Wireless Bluetooth Master-Slave 2 i..
315Mhz RF 4 Channels Wireless Relay Remo..
433MHz RF Transceiver NRF905 Module with..
GPRS GSM SIM900 Shield board arduino com.. 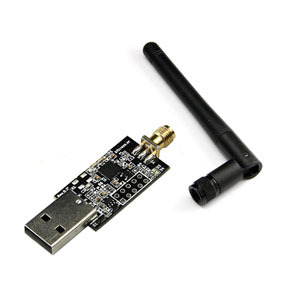 Single Channel RF Wireless Relay Remote ..
Stackable Bluetooth Shield for iduinoard..
updated GPRS/GSM SIM900 Shield V2.0 boar..
XBee 1mW Wire Antenna multipoint-Series ..
XBee 2mW Wire Antenna-Series 2(ZigBee Me..
XBee Pro 63mW U.FL Connection-Series 2(Z..
XBee Pro 63mW wire Antenna-Series 2(ZigB..